Winter surf here we come! 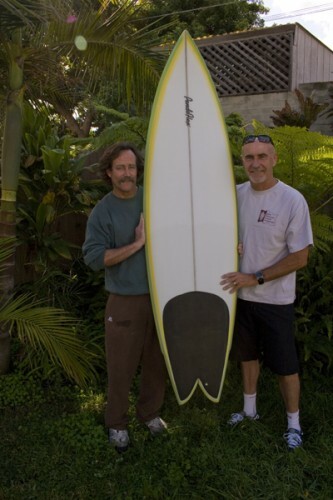 Steve built a beautiful 6′8″ Pendoflex single wing swallow tail tri fin for Mike. 3 Comments on "New 6′8 Pendoflex single wing swallow tail for Mike"
Steve, the board worked great got out right after picking it up, can’t wait to get it in some good overhead waves. We’re stoked you’re having fun on your new board. ‘Looking forward. Mike, you look stoked. Let’s see some water shots! !